Fill in your details below and we will let you know within 24 hours if we can get Sword & Sorcery: Custom Dice Pack (8) to you with haste! 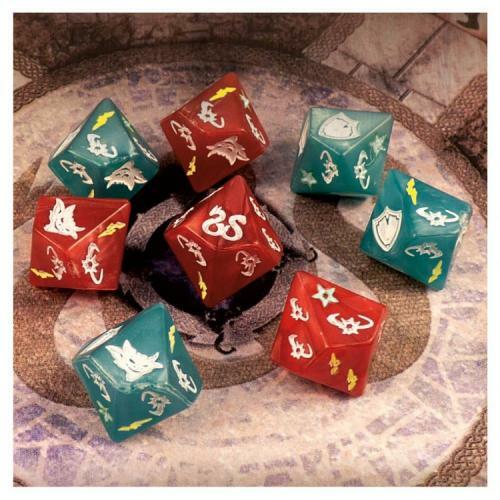 This set includes eight special Sword & Sorcery® dice – four red/attack dice, four blue/defense dice – with engraved and colored icons. Fight through exciting adventures with your favorite Hero and your own set of dice!